Want to fly to Europe in a lie-flat business class seat for just 25,500 points plus less than $100 in taxes and fees? Or, how about economy awards for the family from just 12,750 miles per ticket (also with sub-$100 taxes/fees)? This is not the stuff of mileage make-believe, but these are real award prices available for a limited-time thanks to the 25% discount on award travel available for Iberia flights to Madrid from Sept. 1 – Dec. 14, 2019. 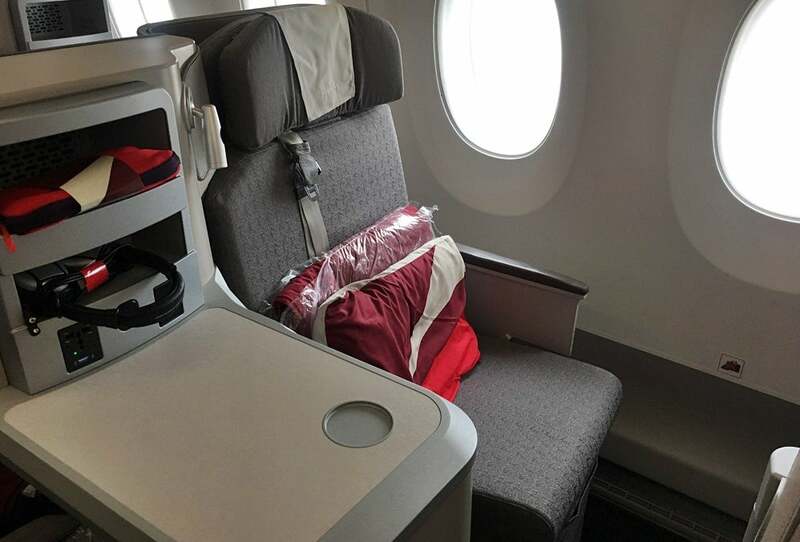 As was highlighted by The Frequent Miler, the 25% discount drops the price of Iberia awards from New York, Boston or Chicago to Madrid on off-peak dates to 25,500 Avios in business class and 12,750 Avios in economy. This discount is available for booking until March 27 for those in the United States. We have seen this deal before around this time last year, but it is just as exciting now as it was a year ago. Note that in addition to JFK, Chicago and Boston, Iberia also operates flights to Madrid from Los Angeles, San Francisco and Miami, but those origins will cost additional points (31.5k each way) due to Iberia’s distance-based award chart. Note that the prices quoted above are for off-peak travel dates, which are the white dates shown below. A word of caution — Iberia’s website is something of a nightmare to operate. Expect to be locked out once you run more than a handful of searches — which is why there aren’t more examples and screenshots in this article. To boost your Iberia account, you can transfer points from Chase Ultimate Rewards and American Express Membership Rewards to Iberia at a 1:1 ratio. Transfers from Chase Ultimate Rewards to Iberia are usually instant, while it can take 48 hours from Amex Membership Rewards. Membership Rewards points can be earned from credit cards like The Platinum Card® from American Express or American Express® Gold Card while you can accumulate Ultimate Rewards with the Chase Sapphire Preferred Card or the Chase Sapphire Reserve. Booking awards using Avios via Iberia can result in paying significantly fewer fees and surcharges than booking via British Airways. It is also possible to transfer your Avios from British Airways to Iberia, although there are some caveats to that process. Namely, both accounts have to be at least 90 days old and have had some points activity. This British Airways to Iberia transfer option also gives you a work-around to the 48 hour delay transferring points from Membership Rewards to Iberia. Amex points transfer instantaneously to British Airways Avios, and you can transfer points from British Airways to Iberia instantaneously if you are eligible to do so. Paying just 25,500 points plus less than $100 in taxes/fees to cross the ocean in business class is a screaming deal that we are thrilled has returned. This is exactly the kind of deal that makes it feasible to book a family to Europe for less than you may have thought possible. 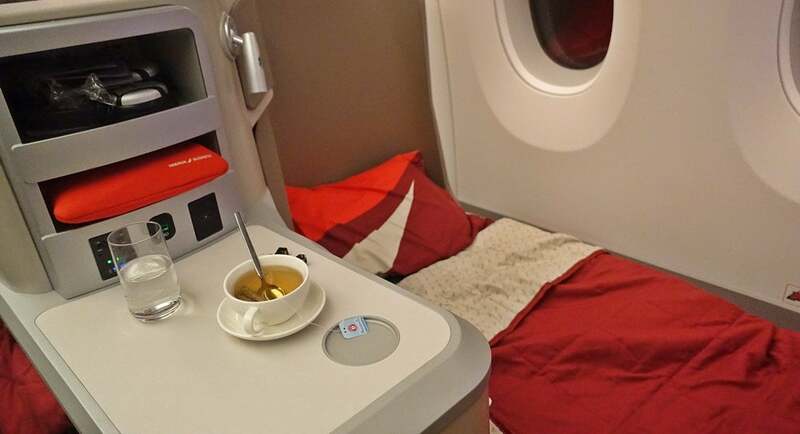 While the promotion runs until March 27, we recommend booking sooner rather than later as award availability — especially in business class — is likely to only diminish.